NEW YORK -- When it comes to space, one million miles away is considered a close call when it comes to large asteroids. 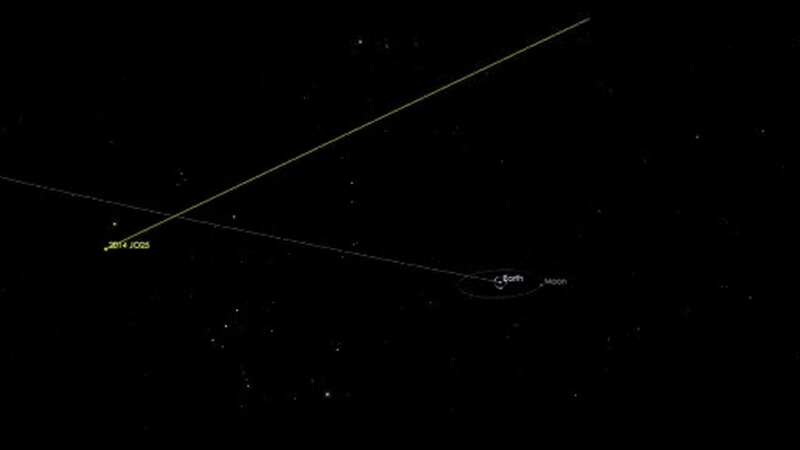 NASA says an asteroid about the size of six football fields will pass close to earth Wednesday. Scientists say there's no chance of a collision but, it's been 13 years since such a large asteroid has come this close to our planet. Stargazers can watch through a telescope or online.